The Global Positioning System: What Can it Do? 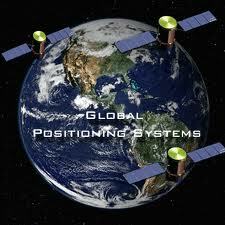 I am not an expert about the Global Positioning System (GPS) technology or know to what extent it can help us. But I am sure; it has many promising features that should be utilized to the fullest extant. Therefore, all I have is a lot of questions regarding my ideas, with answers to be sought from anyone who has some. So if any one has any information about this topic, please feel free to share it with me. We saw what the Global Positioning System (GPS) technology did to Iraq. Pinpointing each object from the satellite and crushing it by bombing. It is undoubtedly a very powerful tool. But, a powerful element like fire can kill people; again it can make our livelihood. Can the same technology be utilized to control traffic in Dhaka city? Would it be so costly to implement it? The same technology has been used for several facilities in Europe (Galileo Positioning System) and Russia (Glonass), not to mention the USA. Why not in Bangladesh, in the very Dhaka city, where the need for urban traffic control is very intense. This is not a fiction, but a statement of my dreams and aspirations that I desperately visualize everyday when I swarm through the problematic traffic of the Dhaka city. The word problematic can’t define the actual condition. If you share the same experience with me, then you might realize what I mean. Creating laws and defining VIP roads each day is not solving any problem for us. The best thing is not to disturb the Father Nature (the nature we have created for our sake); but bring harmony in it. Can we use this GPS technology to tune into this harmony? It is quite an alarming fact that, a small country like Bangladesh has major portion of one of the largest primary-language-populations (Bangla) in the world that is competing with the English-language-population. With a population of more than 10 million, the capital city Dhaka has become mega city quite a few years ago and for the search for jobs, people from all corners of Bangladesh are gathering in this crowded city to make their livelihood. Now Dhaka alone has more population than the country Nepal alone. Within 2010, the population of Dhaka would rich 20 million. I don’t know what the city would be called then. Double or Bi-Mega city? Or a GigaCity? Thanks God, not all are affluent enough to buy a car. But, the growing number of transport services for the middle classes day by day is creating problems for Dhaka. The actual supply for the transportation service is also low according to the ever growing demand. If we try to neutralize our current demand, the current alarming situation may upgrade into a nightmare. Therefore, a vicious cycle of problems grows as we pass through time. Can GPS Technology Track Moving Vehicles? I know that the GPS technology can pinpoint any object in the earth from the satellite; can it also be used to see moving vehicles on the ground? If it is possible, then through a GPS enabled viewing system, can we have an overhead view of the traffic of Dhaka city? Can a Dhaka-centric FM-Radio-Channel transmitting live commentary of the Dhaka traffic be established on the basis of the visual display of the traffic? If the FM Radio Channel is established, then it will be heard by the road riders of the Dhaka city; a very narrow media for specific type of customers. Manufactures or dealers of products such as: auto parts, lubricants, auto accessories, automotive addins, etc. can find the most effective media for advertisement. The fact is that, the radio is included with almost every vehicle; but it is now-a-days the most neglected instrument installed in a vehicle. By this effort, the radio can get its honor back. We will get sponsors for running the FM Radio Channel; but what about sponsors for establishing the system. Several companies offering the GPS Enabled Traffic Control Solution may want to crash test their system in a complex mega city. And Dhaka is one of the rare ones in the world. After the successful implementation and testing, they can take nominal fees from the government or some other sources. Their experience in Dhaka will help them for promoting their system. I don’t know if any company will think that way. But, we can easily find donor agencies like USAID, CIDA, JICA, DFID etc. who can fund the program and ensure payment of the traffic solution providers. The funding agencies are always ready when we want to bring their technology at our home and that’s why foreign businesses pay good amount of tax to their government. The live commentary in the FM radio channel will not be of any help, if the roads of Dhaka city are not interlinked with many alternative routes. Mohakhali, Jatrabari, Gabtoli, and Shadar Ghat are considered the gateway of Dhaka city, which are connected with highways out of the city. For smooth operation, other parallel and alternative highways should be created. The objective should be to reduce the monopoly of a route and democratize every route in Dhaka city. While searching for GPS Technology, my eyes caught the page about it in Wikipedia, where it says that, the GPS is free for all (I guess the writer meant it for the USA). To utilize the GPS technology, you have to have a GPS receiver, which costs only $90 (Less than BDT 5500). However, these accessories are built for individual facilities. But, how much cost would it incur to establish a mainframe system for controlling the traffic of Dhaka city? Let’s assume that the GPS technology is not free for Bangladesh. Would it be possible for Bangladesh to buy or rent some space or time in the GPS satellite? Then what is the current cost of hiring the GPS satellite bandwidth (or what they may call it) for 15 hours a day (Starting from 7:00 in the morning to 10:00 at night) for an area as big as the Dhaka city? Forget the FM radio channel. If we concentrate on the existing GPS receivers, can it be used by the Metropolitan Police to give traffic instruction to the ground police placed at the location? Can it be used by the Transportation Ministry, City Corporation or some other allied concerns that conducts traffic research? At least, it will reduce the manual traffic counting that was done through local surveyors placed on each corner of a road. I am guessing that the system is well running and the service providers are logged in. But, can the GPS system be taught to automatically and exactly count the number of individual vehicles and calculate the amount of people traveling or waiting for a traffic signal? If it is possible, then the system can be used to control the traffic signals through effective algorithms. By algorithms, I mean a combination of the calculation of various particulars or points of a road, for instance, the number of vehicles, number of passengers waiting for traffic (a big bus will get one vehicle point, but a large passenger point), the width or capacity of the road (fully loaded road should be cleared early), priority points (VIP or ordinary road weighting points), etc. All these will be calculated in the best algorithm that will be most effective and make the road with the best points clear for plying on the basis of calculated optimum amount of green time. That way, a VIP road may become less important, when the problems in an adjacent non-VIP road are immense. But the VIP roads don’t need to worry, because they will have their priority points. If this is possible, than it can reduce the need for traffic police, since the signaling system is more intelligent. But punishing the misdeed for breaking the traffic law will still remain a problem. UK has an intelligent urban traffic controlling system, called SCOOT (Split Cycle Offset & Optimization Technique). This is also an intelligent traffic signal timings controller. It can monitor traffic signal faults. It also can provide “Green Wave” route for emergency vehicles (like ambulances) and control facilities for car parking. However, the basic technology used for this, is ground-based and monitoring sensors are placed limited amount of corners, which is called Junctions. These sensors in the junctions transmit sufficient information to a central mainframe control center, where both electronic and human intelligent are implied for controlling the traffic of UK. This integrated system is one of the most advanced traffic control systems in Europe. Being ground-based, this system might require heavy cost. But, would it cost higher to have an intelligent traffic controlling system that can monitor from the sky? What about mixing them both? The sky view will give only two dimensional view, and the ground-based view will make the view 3D and more intelligent. Installing it with the traffic signaling system and making it the signaling system more intelligent would be a great problem and be quite costly. But, when we move into such action, one question comes, who will take the responsibility to do all this, the government, city corporation, autonomous body, the metropolitan police or Business organization? In a democratic country, business organizations can run a system and make it sustain for ages. The business organization would be a good option, but when we will use the GPS technology for controlling traffic, we need have some authority power to punish the misdeed. OK, what about thinking about a mix of both, a portion of police offering profitable service through remuneration, not tax. Can the GPS technology be used to hunt down a vehicle if it is disrupt the traffic rules? But to do so, each vehicle should be uniquely identified. For identifying a vehicle, can a Vehicle Identification Module (VIM) card, like the SIM (Single Identification Module) card used in mobile phones be introduced? An installed VIM card will identify and hunt down every individual vehicle. The VIM card can be further utilized to get more information about a vehicle and traffic research. With the help of the VIM card, another algorithm can be used here to punish the traffic irregulations by assigning misdeed points. These points can be generated once for single misdeed (e.g. overlooking traffic signal) or grow according to the period of conducted misdeed (blocking the road for 1 or 10 minutes) and finally accumulate points in the vehicle owner’s punishment point account. At each level of earned points, the government should have clear standards & legislation for punishment. But who would want to install such a thing if it used only to hunt them down when they are doing wrong? The pressing urge of the government to implement any change always had drawbacks and most of the time it didn’t sustain. However, win-win situations tend to sustain in the long run. It is obvious that the VIM card can bring win situation for the government. But they should implement every innovative and effective strategy to make the VIM card useful for the vehicle riders. For instance, the VIM card can help the driver to warn if he is breaking the traffic rules. The warning can be broad, for instance, a red warning signal (once or as long as he/she is breaking the rules) or very specific by showing the actual cause. Another useful utilization of the VIM card can make the transportation service hassle-free. If each vehicle was traceable and easily accessible by passengers, then they can see which transport service is nearby? Moreover, the previously mentioned FM Radio channel will become primitive and real-time traffic overview can help the road riders. In case of taxi, a passenger can signal a nearby cab to come near him/her. However, it would be better if any VIM could be accessed by any SIM, with lower cost than usual SIM2SIM charge. For tourists, the VIM card can provide them driving directions. My final question is, can the VIM card be made more intelligent to make robot-driven driver-less vehicles without the risk of accidents from the complex database created by the GPS satellites?